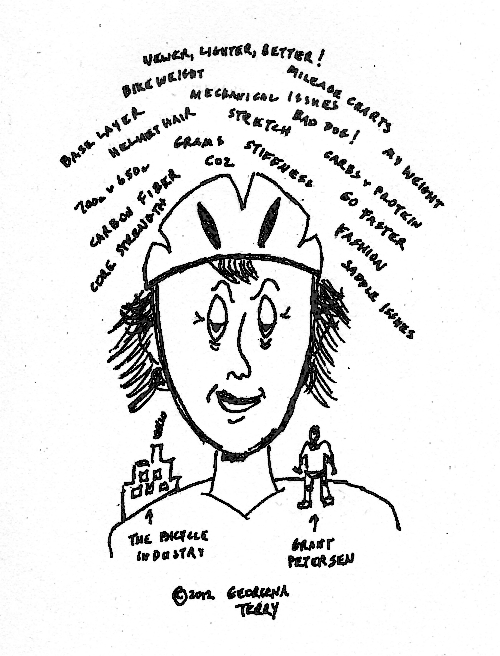 Cyclists are bombarded with information: advertising, in-ride chats, blogs, tweets. Sometimes we spend so much time making sure our kit looks good, our bikes look good and our pre-ride stretching was done that we forget we’re here to Just Ride the bike! Sure, there is a certain amount of fun toting up the miles on the mileage chart, planning the details of what variety of Gu® is going in the jersey pockets, making sure we look like “real” cyclists and not getting dropped on the first hill. But the bike is such a darn simple machine. Quiet, unassuming, but always ready to take us on an adventure. I had a ball reading this book. Grant is so … down to earth. He takes us back to a kinder, gentler world of bicycling — one that’s pretty much been lost in today’s whirlwind of faster, lighter, stiffer. 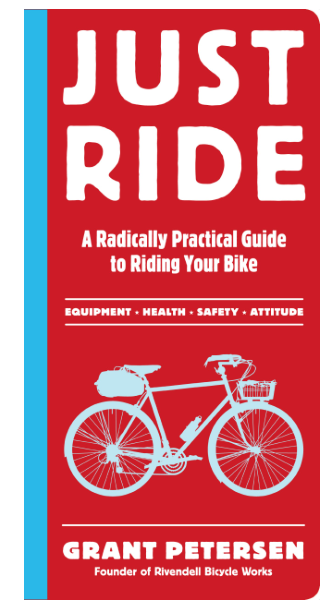 Every cyclist will relate to this book — love it or hate it, but you won’t be able to put it down.